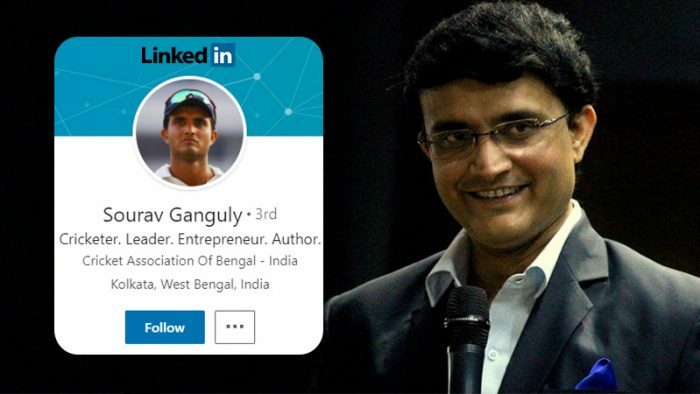 Former Indian cricketer and captain Sourav Ganguly joined LinkedIn today as a LinkedIn Influencer, a program that includes 500+ global leaders, thinkers, and pioneers of various industries. Ganguly will be the second Indian cricketer to join the platform, following Sachin Tendulkar’s debut on the professional network last year. Ganguly will now be part of the LinkedIn Influencer Program that includes an illustrious list of names such as Narendra Modi, Bill Gates, Richard Branson, Priyanka Chopra, Oprah Winfrey, Justin Trudeau,Sachin Tendulkar, among other eminent personalities across geographies and fields. In India specifically, some of the other LinkedIn Influencers such as Kiran Mazumdar Shaw, Kailash Satyarthi, Vani Kola, and Devdutt Pattanaik, spark some of the most valuable thought leadership conversations on the platform that help members stay one step ahead. In India specifically, some of the other LinkedIn Influencers such as Kiran Mazumdar Shaw, Kailash Satyarthi, Vani Kola, and DevduttPattanaik, spark some of the most valuable thought leadership conversations on the platform that help members stay one step ahead. Ten years after retiring from international cricket, Ganguly, the ‘Bengal Tiger of the Indian Cricket team’, will spend his next innings promoting and inspiring fresh talent in the sports industry. His debut post on LinkedIn, as the former captain of the Indian cricket team, draws parallels between athletes and professionals and talks about lessons learned in leadership, team building, challenges, and visualising instinct-backed success. “We are delighted that Sourav Ganguly is now an influencer on LinkedIn. Having grown up watching his career and captaincy closely, it has been inspirational to see Sourav play a critical role grooming the next generation of leaders, who have now become leaders in their own right. He is responsible for changing the face of Indian cricket, and that leadership is useful to understand for any business you’re in,” said Akshay Kothari, Country Manager, LinkedIn India. ...on visualizing success: Life is led by what goes on in between your two ears. That is everything. Your success, failure, how you approach situations, how you recover; its the way you think. It’s your mind which actually rules your body and never the other way around. ...on making a difference: Captaincy is a huge moment in everybody’s career. But just being captain is not a huge moment. It’s about how you make a difference – so how you handle pressure as a captain, how you build a team, how you deal with youngsters, how you make the youngsters perform, how you deal with youngsters who don’t perform… These are all cycles, and these are emotionalcycles. …on his leadership style: Because i was strong on the field, many people thought i was strong off it, but I was a completely docile person off the field, very very laid back. That’s the actual Ganguly! The best thing you can do as a leader is to reflect at the end of the day and be absolutely sure that you did what you thought was the best for the country and for the team.